Oops. Yesterday was quite the busy day for me, going from Astronomy homework to Astronomy class and then to see Star Wars Episode I: The Phantom Menace 3D. So yeah, kinda forgot about InstaFriday. 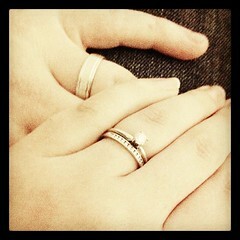 #FebPhotoADay Challenge Day 3 “Hands” – This is the only photo I have with our wedding rings. Our wedding photographer never got a photo like this with our hands at our wedding. #FebPhotoADay Challenge Day 4 “Stranger” – Seeing as my birthday was this week, I found it ironic to take a picture of a stranger once I figured out who I would take a picture of. 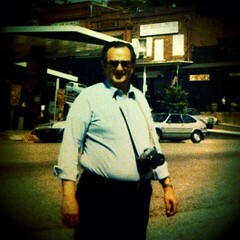 This man is my grandpa, who is in fact a stranger to me, seeing as he died two weeks before I was born. 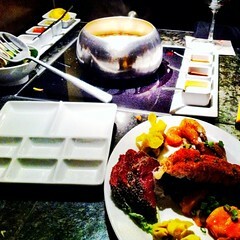 I was in class and at work all day on my actual birthday, so Joshua took me to my favorite restaurant (aside from Chili’s haha), The Melting Pot, for dinner the next day. We had their Big Night Out “America” which is by far our favorite. 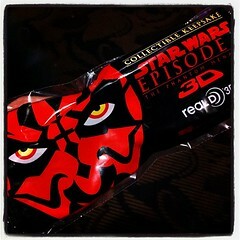 As I mentioned above, I saw Star Wars Episode I: The Phantom Menace in 3D last night, and it was very well done. I’m not a fan of 3D movies, but I will take any excuse to see Star Wars on the big screen. The amount of 3D in the film was just right, and it didn’t leave me feeling dizzy. I particularly liked the effect it had on the opening scrolling titles.